A lovely friendship quotation is here explaining the value of friendship. You can hide your emotions to anyone but not to your friend. Anyone requires you to open up your heart, but your dear friend does not even require for you to say a word. He/she could understand your feelings in just a look at you. 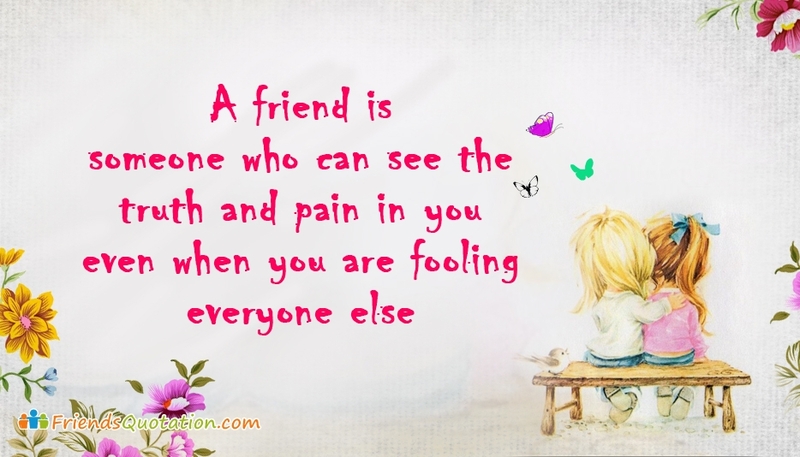 This friendship message is portrayed in this friendship quotation picture with the words "A Friend is Someone Who Can See the Truth and Pain in You Even When You are Fooling Everyone Else". Share this picture with your dear friend and say to him/her that you could understand his/her worries.